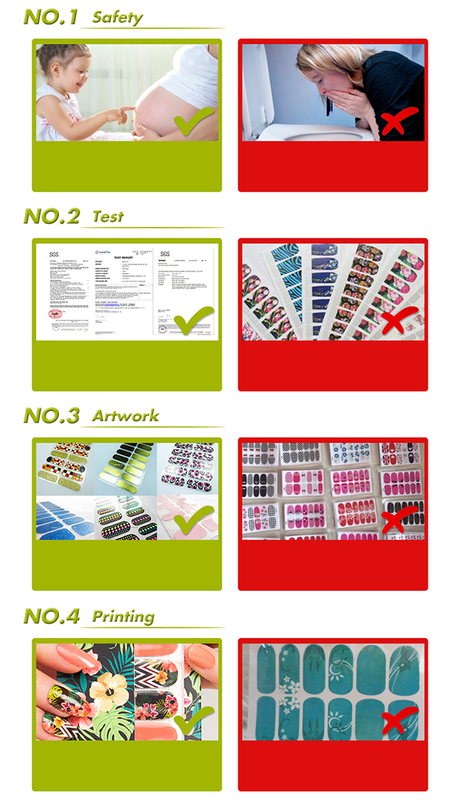 Guideline for Good Manufacture Practice of Cosmetic Products. 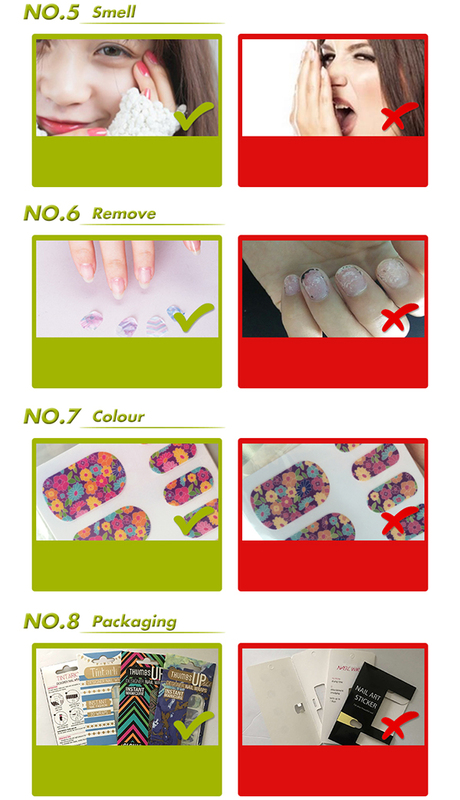 The ISO22716 Good Manufacturing Practices(GMP) for cosmetics guide was introduced to provide guidelines for the production,control,storage and distribution of cosmetics products like nail sticker,tattoo stickers, face gems stickers and etc. ISO9001:2008 specifies requirements for a quality management system where an organization. Pregnant women and kids can use our products. 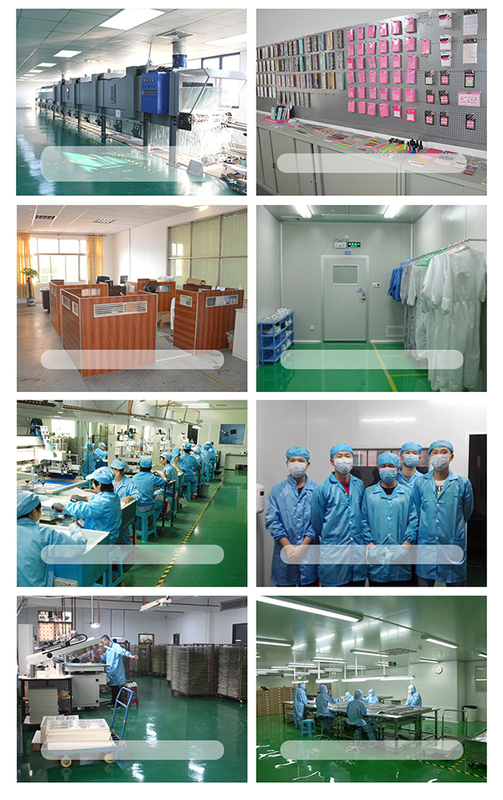 Our nail sticker pass EN71 test / TRA test and etc. Foil gold, Giltter, Overlay, 3D, Highshine,French &etc. Bad nails are harmful to pregnant women. Bad stickers not pass the test. Others are usually have cmyk printing and glitter. Our nail sticker only has ink smell. Just peel off, it is so easy! Almost freedom from chromatic aberration. Our packagings are good design and thick. Others have a pungent odour. Others are do harm to nails. Others are simple and very thin and look low.